The Debt Snowball Spreadsheet is the most customizable way to pay down debt, based on your current bank data. 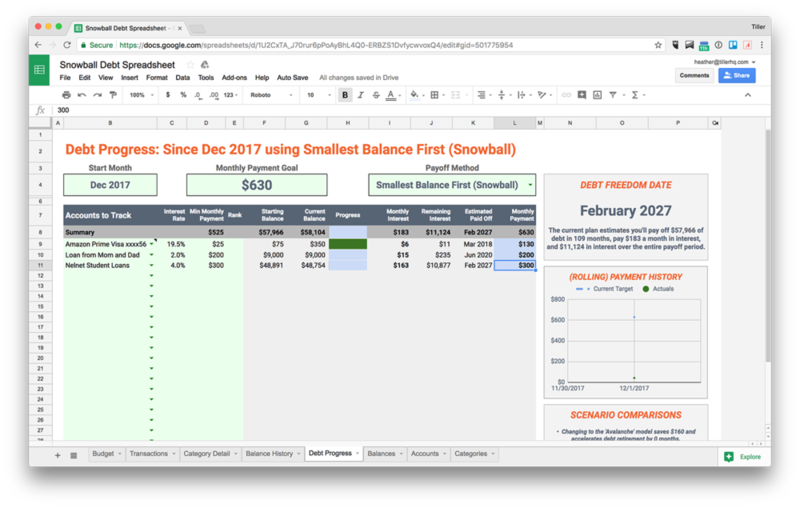 The Debt Snowball Spreadsheet automatically imports your financial and debt balances daily into a powerful Google Sheets template. The Debt Snowball Spreadsheet works with every kind of personal debt, including credit cards, mortgages, car payments, and family or student loans. Chose snowball, avalanche or custom ranking. 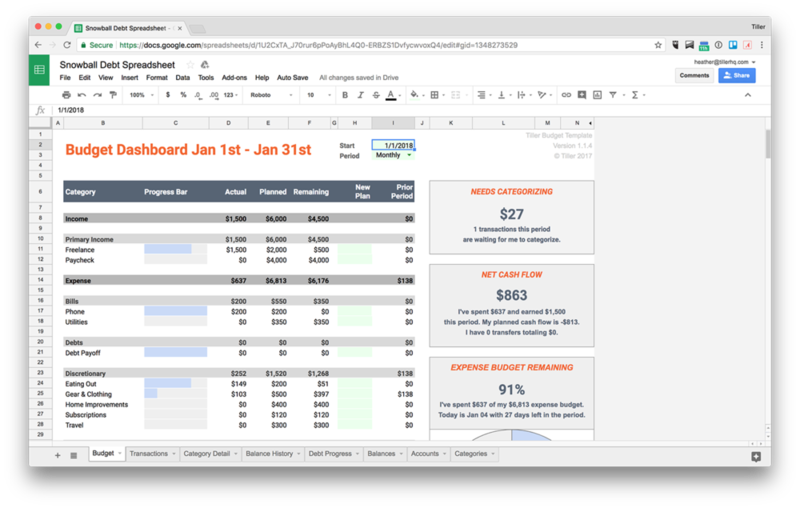 Tiller is the only way to automatically feed bank data into Google Sheets. Gain insights on your progress. Create a plan that meets your needs. See all your accounts, balances, and debts on a single screen. Target and pay down your personal debt.